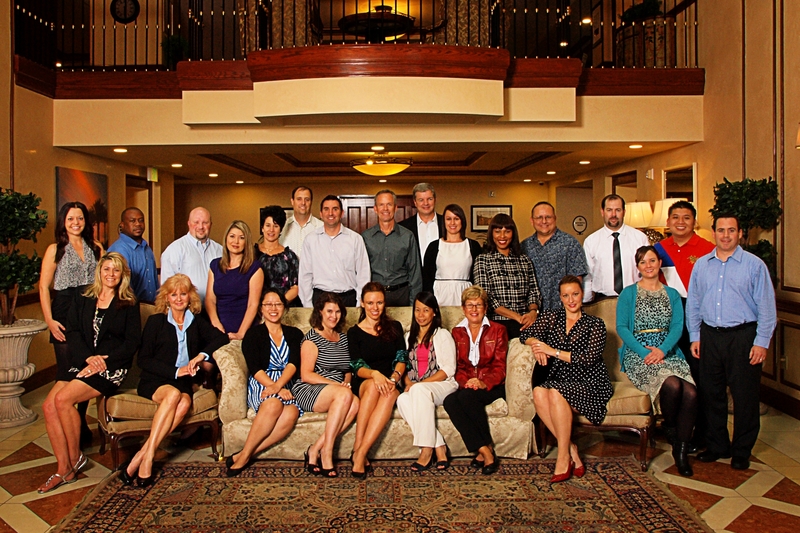 HENDERSON, Nev. – Leadership Henderson recently accepted and announced its class of 2013, the 13th graduating class of the program offered by the Henderson Chamber of Commerce Foundation. The 23 community and business leaders will receive more than 30 hours of professional leadership development training, which began with a two-day kickoff event in October and will continue through May. During the next seven months, participants will meet with Southern Nevada decision makers and learn about Henderson’s key topics and infrastructure. Class participants include Shelley Bishop, operations manager for Bishop Air Service; Ebony Black, associate director for DeVry University; Bill Bokelmann, owner of Maxx Promotions; Jason Chan, market development manager for Century Link; Diwen Chen, manager of strategic development network for St. Rose Dominican Hospitals; JC Cudiamat, senior sales and marketing officer for Nevada State Bank; Lisa DeBenon, director of Beautiful Savior Lutheran School; Mariya Fedorchenko, senior risk management for NV Energy; Alex Fugazzi, partner and attorney for Snell & Wilmer; Lisa Garland, casino host for Emerald Island Casino; Aviva Gordon, partner and attorney for Ellis & Gordon; Barbara Harmon, human resources manager for Olin Chlor Alkali; Matt Hortt, head librarian for adult services at Henderson Libraries; Matt Hutchings, senior partner and president of Dolomite Technologies; Marcus Kline, business relationship manager and vice present for Nevada State Bank; Courtney Lancaster, human resources, safety and security supervisor for the Regional Transportation Commission; Savannah McBride, account executive with Trosper Communications; Margaret McKenzie, provisional manager for Desert Living, Inc.; Scott Muelrath, president and CEO of the Henderson Chamber of Commerce; Melanie Myer, partner with Partners Insurance Company; Gary Thompson, attorney with Chasey Honodel; Kevin Tillis, patient access manager at St. Rose Dominican Hospitals; Cody Walker, economic development officer for the city of Henderson; and Deborah Winiewicz, director of transformational care at St. Rose Dominican Hospitals. During the experience, participants will choose a local organization to partner with as part of their service to the community. The Class of 2012 aligned with the School Based Health Center at Basic High School, raising more than $30,000 for the free medical clinic for Henderson schoolchildren. “Our alumni have a great grasp on the type of individuals who will not only benefit from this development program, but in turn, will ultimately lend their talents to the vision of Leadership Henderson and that is to continue building our community for years to come,” said Amber Stidham, Leadership Henderson steering committee chairman and a 2006 program graduate. For more information on the Leadership Henderson program, contact Rebecca Fay at 565-8951 or www.hendersonchamber.com.